How can mobile playgrounds bring your child benefits? Children living in the 21st century has changed the way of play because of access to mobile devices. In the previous time, children are always like to run freely on the playgrounds and sidewalk. They have got lots of fun when they are chasing with their friends. And on the indoor playgrounds, mobile playgrounds or outdoor playgrounds, they can constantly meet with many peers and make friends with them. Since the mobile devices come into our daily lives, children who used to chasing on the playground, are now glued to those mobile devices. In fact, children do not carry out physical movement while they are playing games on mobile devices. But some games will recognize movement before the activation. Through this process, children will receive a new perspective as an award. However, technology is not the only way to stimulate creativity for the child. There are still many activities just existing in our daily lives can help achieve this too. For instance, mobile playgrounds are a good way to implant values and traits, which will help the child traverse through life in the future. Experts said that children will gain a lot of profits from the mobile playground, especially the stimulation of creativity. Once the kids learn the ability of creativity, they can not only solve those simple problems in their lives, but also those complex problems. Furthermore, kids who often play on the mobile playground, can also learn many things like improvisation, curiosity, adapt to change, flexible thinking, and think outside of the box. Seeing these much profits a mobile playground can bring to your kids, then what is a mobile playground? What is a mobile playground? The normal playgrounds often offer equipment in an exact place, such as school, community, park and etc. Differ from these playgrounds, the mobile playgrounds offer equipment that can be easily transferred from one spot to another. Also, the equipment of mobile playgrounds can be easily carried, moved at home, community, or park, when compared to the standardized playgrounds. For example, crates, foam, tunnels, pipes, blocks are the typical equipment in the mobile playgrounds. Playing with all of the various equipment, the child can enable themselves to expand their thoughts and come up with new means of starting a new adventure. The CREATE (Creative Recess Engagement during Activities Time Exploratory), a literature review focused on the movable equipment in a school playground. This review has observed 800 schools in the study. They have revealed the positive impacts of creativity that the movable equipment has on children. According to their study, when the participants used movable equipment in different ways, they tend to maintain a high level of innovation. Those participants are picked out from students in the target school. And the students like to jump, roll, bounce, swing in the mobile playground all the time. Since those objects in the mobile playgrounds can be easily moved from one location to another, hence, students can create a variety of obstacle courses by themselves. Also, students can create new equipment on their own by combining or piling up the movable equipment. 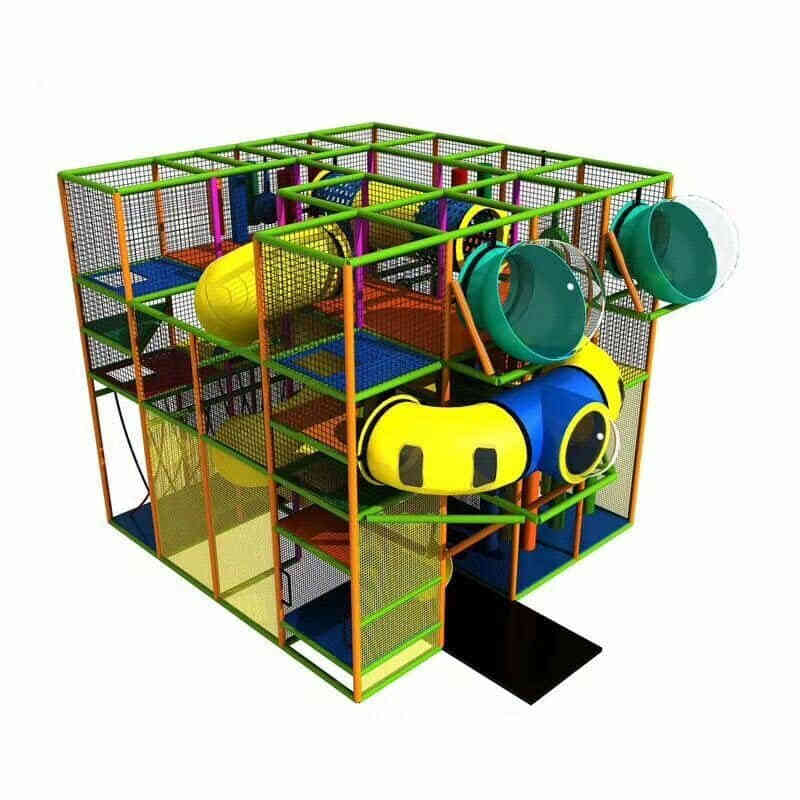 What’s more, with so much freedom in the mobile adventure playground, students will have abundant ways to play with the movable equipment. They will make a complete plan about how to design their play area and establish cooperation with other students. In order to design a wonderful play area, some students will recruit and negotiate with their fellows. In this process, all of these students will stimulate their imagination. For those low-income youths, they usually need exercise like other youths. But the low-income kids can’t go to the park for some fun because they don’t have transportation. Also, their parents are usually too busy to take them to the park. As a result of these restrictions, those kids will be more likely to trap in the confusion of obesity. In order to bring those low-income kids to the playground, some people came up with the idea of “mobile playground”. The mobile playground can bring the park to those kids and don’t require them to go to the park or somewhere like this to play. Generally, mobile playgrounds offer more freedom for kids than “standardized playgrounds”. Playing on mobile playgrounds, children can think of different possibilities, as well as to try on different solutions and suggestions. However, the fixed playground setting may have a certain limit to how much and how long. Despite it can help child inspire their creativity. According to the experts, children need to play and roam freely around the playgrounds at least 60 minutes a day. Once they start a new adventure in the mobile playgrounds, the will be able to maintain a good balance between the learning and having fun. Even more, the movable equipment will help stimulate their imagination. Meanwhile, it will help participators make some new friends and work out their bodies. This entry was posted in blog and tagged mobile playground. What will the ninja course benefits be?